The legend is almost over, but the winning run continues apace. Winx effortlessly strode further into racing immortality with a stunning 32nd straight victory in the George Ryder Stakes at Rosehill. The champion mare was settled towards the rear of the eight-horse field as Dreamforce set the early fractions, with Hugh Bowman taking closer order widest of all as the pack approached the turn for home. Still chartering that wide passage, Bowman let the shackles off at the 300-metre mark and Winx responded generously, bounding clear of her rivals under a hands-and-heels ride to score by three and a half lengths over Brutal, who put daylight between himself and Dreamforce back in third. 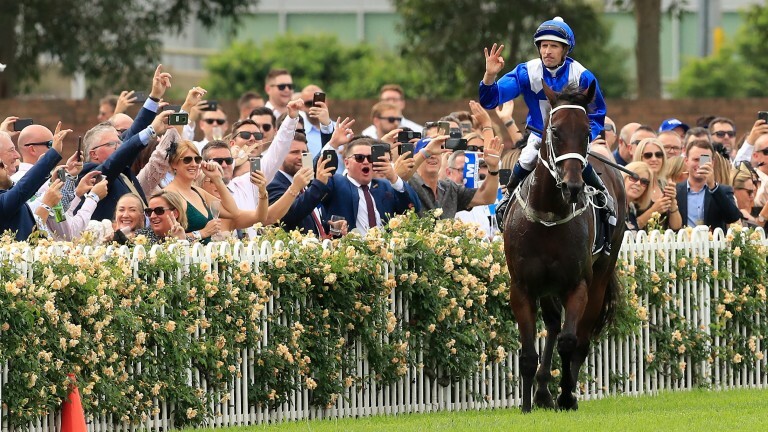 In a career that continues to rewrite the record books, the victory saw Winx become the first horse to win four Cox Plates, four Chipping Norton Stakes and now four George Ryder Stakes in consecutive years. It was an emphatic statement on her final outing at her local track, setting up an emotional swansong in the Group 1 Queen Elizabeth Stakes at Randwick on April 13. 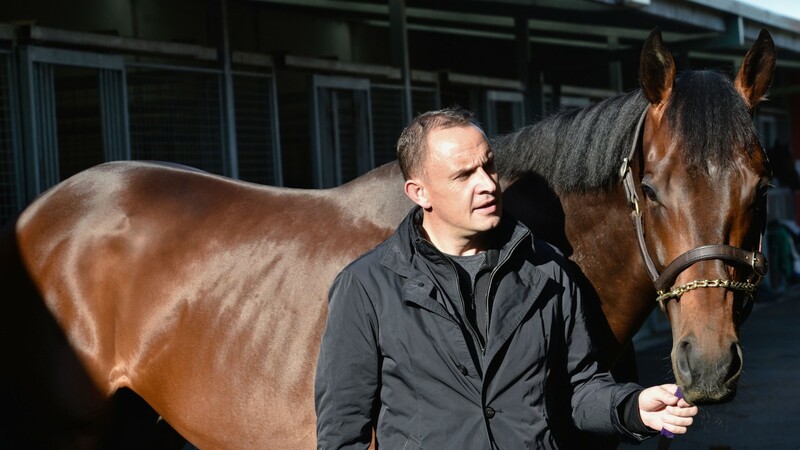 A euphoric Peter Tighe, part-owner of Winx, was effusive in his praise for the great mare, who was recording her 24th victory at Group 1 level. He told Sky Thoroughbred Central: "She had them covered pretty early today. You’ve got to go and win, you don’t get them given to you and half way up the straight we were pretty confident. "She did what she does best and put them all to the sword. There’s not a lot more you can say – she’s just out of this world. "She means the world to us – and to Debbie [Kepitis] and Richard [Treweeke], obviously – and it's a day for all of us to celebrate with our families. 32 wins in a row, 24 Group 1s, 4 consecutive George Ryder Stakes, the world's best horse. "We don’t want to go too crazy because we are going to have to come back to reality one day, but we’re just loving every moment of it like everyone else. "As long as she pulls-up okay and everything is right tonight, we’ll be back in three weeks to hopefully finish her career on a winning note. "She’s everyone’s favourite and I’m just so proud." For Winx’s trainer Chris Waller, the result brought the usual concoction of relief, excitement and awe. He said: "Hughie popped out four-wide with a bit of arrogance as we’ve seen him do and as he’s entitled to do. Obviously everyone expects her to win and that’s one of the reasons she does. "Every other jockey I’m telling not to be three-wide, but with her we have to be three-wide to stay out of trouble. "She’s a very special horse. I’m sure she knows what’s going on. She's just a marvellous horse to work with and we owe it to her to be in this position." 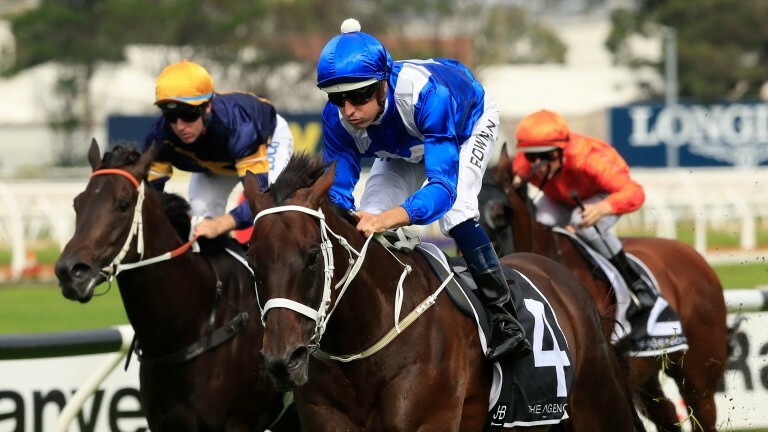 Winx’s victory was the second leg of a remarkable Group 1 treble for Waller, with The Autumn Sun and Nature Strip recording elite level victories either side of the mare’s emphatic George Ryder success. After the race, a jubilant Bowman exuded his customary class by parading the seven-year-old in front of her adoring fans, ensuring all those who made the pilgrimage to Rosehill with a view to catching one final glimpse of the superstar could leave satisfied in the notion they had done just that. The jockey was happy to let the daughter of Street Cry find her stride in the early stages before taking advantage of a lapse in the pace approaching the turn for home. Bowman said: "The pace was pretty good in the early stages. I settled towards the rear of the field, as she often does, and when they slowed up the pace in the middle I was staying out wide on the better ground because it’s quite chewed up on the inside with the conditions here this afternoon, so the pace steadied and I just crept a bit closer. “Obviously I was more assertive with her over the last 300 metres than I would be here early in the mornings but for her it was very comfortable.